Unlimited data plans are all the rage, but are they really worth it? Major mobile carriers are pushing unlimited data hard, harkening back to old-school cell plans. 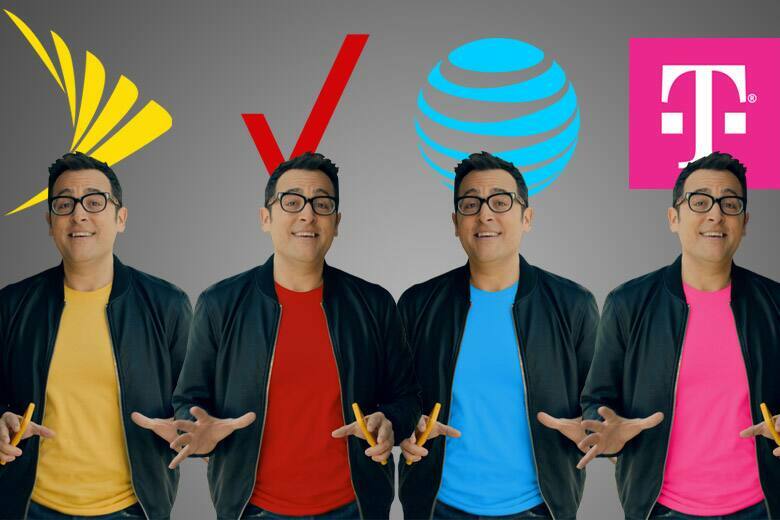 Verizon (the last to jump back on the bandwagon) finally caved, recently unveiling its new-and-improved unlimited plan. With auto-pay, you'll snag unlimited data on four lines for $180 per month -- plus HD video streaming and 10 GB of unlimited 4G LTE mobile hotspot usage. (After that, it downshifts to 3G.) But these prices don't include fees and taxes, which will inevitably raise your bill. The offer is also ambiguously labeled as "introductory." Will prices get jacked up? Probably, but we'll have to wait and see. Other big mobile players are reacting in kind. Shortly after Verizon's announcement, T-Mobile tweaked its One Unlimited plan to match Verizon's HD video and hotspot offerings. 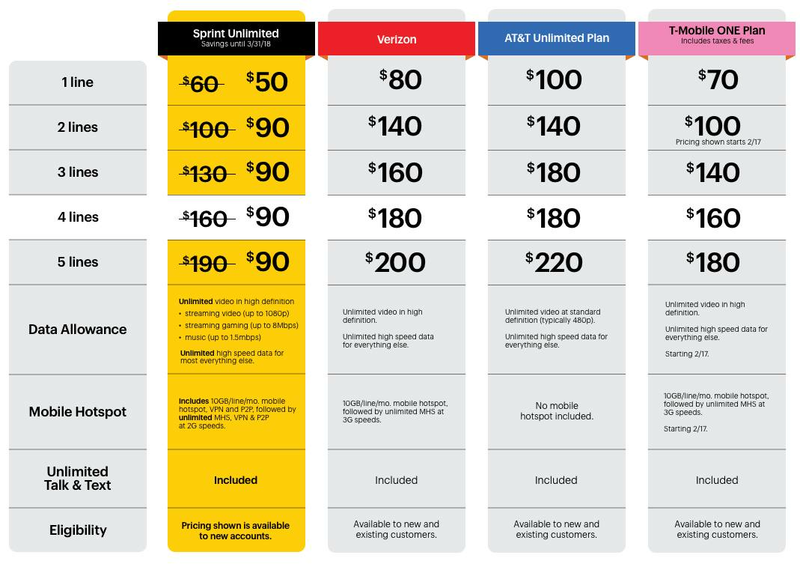 Similarly, Sprint rolled out a limited-time promotion -- just $90 per month for five lines. The caveat is that Sprint's network isn't known to be the best when it comes to speed and reliability. Shout out to the folks at Phonearena.com for putting together this wonderfully comprehensive breakdown of each carrier's unlimited plans. But all the hoopla has us asking one big question -- is unlimited data something we need? It all comes down to your individual data consumption. Light users who stay mostly connected to their home or work Wi-Fi, and only burn through one to two gigabytes per month, might be better off going with Google's Project Fi mobile service, which toggles between Wi-Fi and 4G LTE networks. The pricing model is super-transparent; $20 for unlimited calls and texts, and $10 for every gigabyte of data you use. Plus, you get a refund for unused data. On the flip side, data-guzzlers, like those who spend hours streaming movies during their commute every day, will get more bang for their buck by going with one of the major carrier's unlimited plans, especially if they have multiple lines. Of course, most of us fall somewhere in the middle, and while unlimited data provides a nice peace of mind, it's far from necessary for a lot of people. There's also network quality to consider because, as Slickdeaer DRad points out, "Boost, MetroPCS, and Cricket have cheaper unlimited." While true, those lower costs also bring below-average download speeds. With T-Mobile neck-and-neck with Verizon for speed and reliability, their current $100-for-two-lines promo (including taxes and fees) is worth exploring depending on where you live. "I switched to T-Mobile from Verizon last year and don't mind it at all. Coverage in the sticks isn't the best but that's like five days a year for me so not a problem," says Slickdealer ThinKing. Ultimately, while it's good news that Verizon is once again offering an unlimited plan, jumping ship from your current plan might not be the smartest (or cheapest) move. What do you make of all the unlimited data fuss? Worth it or overrated?